John R. Mentzer, III, Esq. John Mentzer received his bachelor of science degree from Virginia Tech and his juris doctor degree from the University of Maryland. 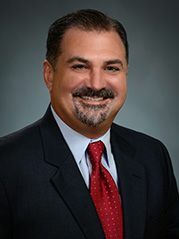 Mr. Mentzer was admitted to the Florida Bar in 2005 when he returned to private practice after working as General Counsel for a large corporation for nearly a decade. He brings a unique perspective to the Band Law Group and its clients. He is a seasoned general counsel and transactional attorney. Mr. Mentzer has practiced law for over 25 years providing advice, counsel and transactional representation primarily to entrepreneurs and privately-held businesses in a wide variety of industries, including franchisees, service providers, manufacturers and distributorships. Mr. Mentzer also has served as general legal counsel to various not-for-profit organizations. As a business lawyer, Mr. Mentzer has the unique ability to view business matters from the client’s perspective to which he brings in depth legal knowledge as well as having had hands on experience as a business executive. He has considerable expertise in the formation of new business entities; the formation of joint ventures; and representing buyers and sellers in the acquisition and sale of businesses. Additionally, having served as in-house general counsel for two publicly-traded corporations, Mr. Mentzer is knowledgeable about and experienced in handling most legal issues facing new and existing businesses. Mr. Mentzer is a member of the firm’s planning practice. He provides personal estate planning services for clients with moderate and medium-sized estates, and advises and assists personal representatives and trustees in the administration of estates and trusts. He assists his clients with the preparation of wills, trusts, powers of attorney and advance directives.